Home Maitri Dharma Who is Maha Sambodhi Dharma Sangha Guru? 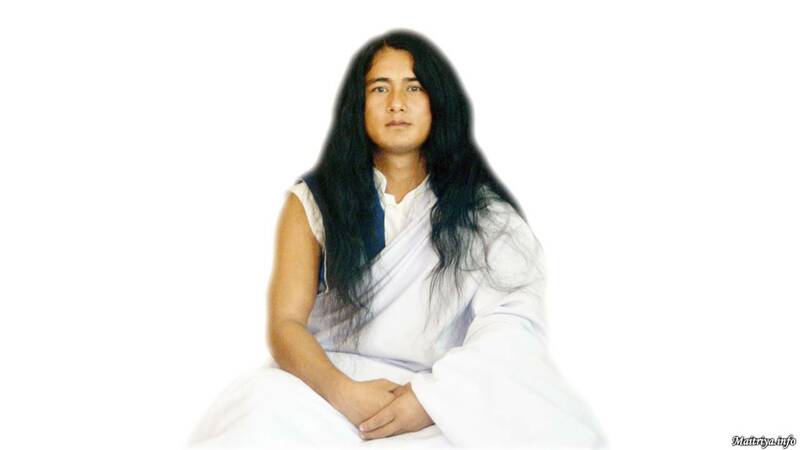 Known today as Maha Sambodhi Dharma Sangha Guru, He was born into a farmer’s family in Nepal in 1990 as Ram Lal Bomjan. 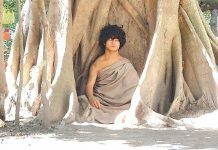 At the age of only fifteen the young meditator walked into the jungles of Nepal to start a 6 year ‘tapas’ meditation as an ascetic without food, water or sleep, with the aim of liberating all humans, animals and plant life in the world. It was also during this time that He famously gained the attention of the world that would refer to Him as ‘Buddha Boy’. 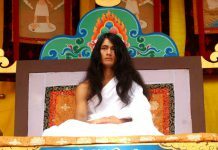 During the 6 years of tapas meditation, Dharma Sangha is said to have received many ‘teachings’ from a wide array of High Spiritual Beings, Awakened Ones, Buddhas, Deities and Gurus and, upon the completion of His tapas in 2011, earned the title of Maha Sambodhi Dharma Sangha. He is delivering teachings of ‘Maitri Dharma’ — the wisdom of universal peace, friendship, love and kindness. This Dharma is a combination of doctrines containing the truth of all religions. 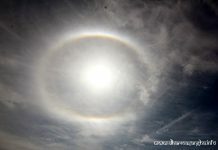 Guru is gradually revealing the profound wisdom inherent in Maitri Dharma, attracting many kinds of truth seekers, peace lovers and devotees from all over the world. Maha Sambodhi Dharma Sangha Guru has laid down a set of principles to live by (The 11 Maitri Precepts) and has released prayers & mantras through all of which He emanates His message of Maitriya. 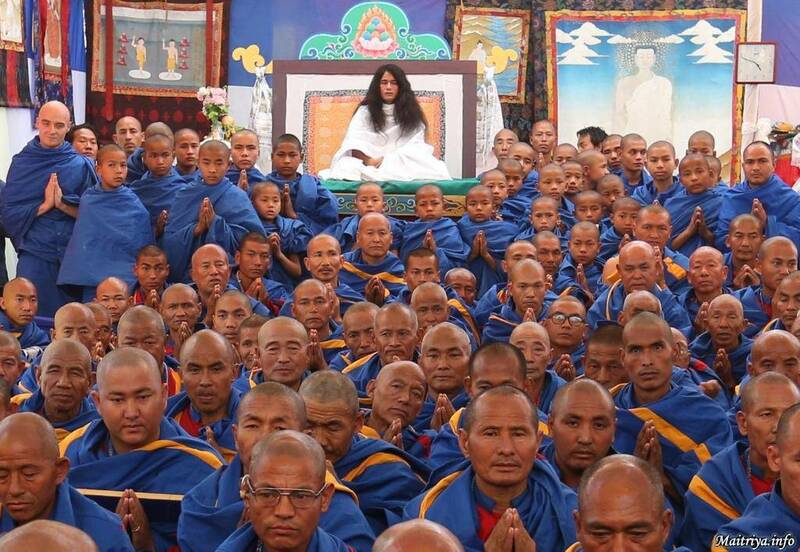 Dressed in simple white robes, Maha Sambodhi Dharma Sangha works tirelessly for the world’s betterment and is now guiding the completely renounced Guru Marga gurus (the blue-robed Sanyasins who have completely renounced their previous lifestyle), Maatma Marga gurus (those who are partially renounced) and the lay sangha (people who go about living a ‘normal’ life) so that we can all become a beacon of Maitri to benefit and to uplift the world. Guru Dharma Sangha continues His work here on Earth and in countless other realms as He guides us all towards awakening to this wonderfully new ‘Maitri Bhav’ — a feeling which sees the world as one family, a place where we all live in harmony with one another and with all life forms, without causing the slightest harm, treating all equally as one without discrimination. May the whole world take the Maitri wisdom to heart and awaken!